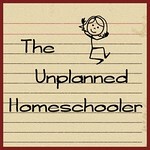 Google The Unplanned Homeschooler: New homeschoolers, don't throw in the towel! 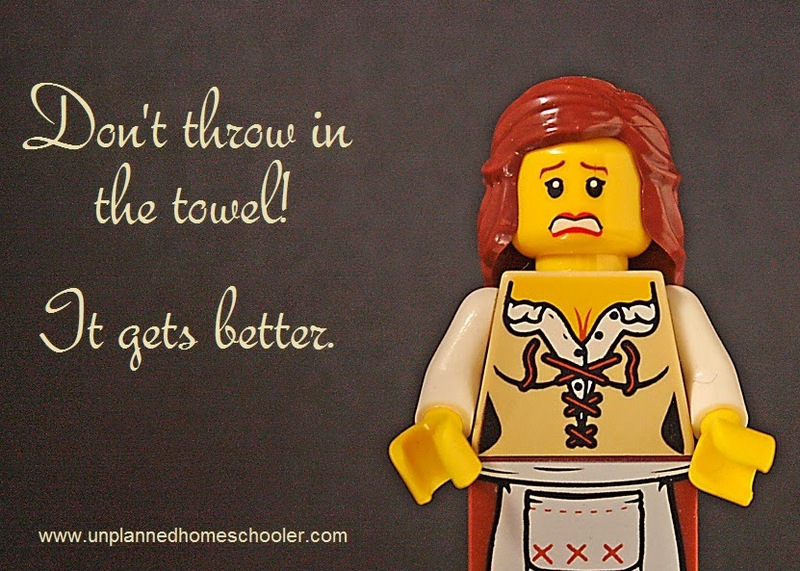 New homeschoolers, don't throw in the towel! This year, I have seen far more new homeschoolers than ever before. But just a couple of months into the school year, so many are already frustrated to the point of considering giving up. and sending their kids back to school. If you are among those ready to call it quits, because homeschooling is so much harder than you thought it would be, I just want to tell you, don't throw in that towel. Homeschooling is hard, but it's going to get easier. I've been there. We've all been there! There's a wall that no one tells you about, that you hit a few weeks or a few months into homeschooling, where you just don't know if you made the right decision at all. Your carefully chosen curriculum isn't working for your kids, your kids are pushing your every button, you feel like you're getting no support, and you can't remember why you thought homeschooling was a good idea in the first place. Much like childbirth, the pain of the early days of homeschooling are soothed and forgotten in time, as things get remarkably better. Just like the memories of sleepless nights and blow-out diapers are largely erased as your kids grow up, so will the frustrations of learning to homeschool. 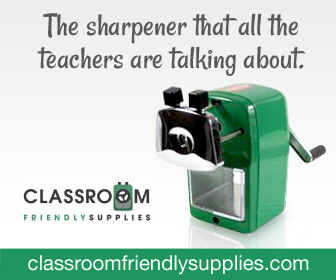 The good news is that you can make your homeschooling experience better right now. Yes, today! The answer for many families, especially those with young children, is to ease up and enjoy the ride. And yes, I know that is easier said than done, especially if you are the type of mom who likes to set a plan and stick to it. But if you're frustrated and depressed, ready to throw in the towel, that plan is not working for you or your kids. So consider this. Are you and your kids having any fun? Or are you just butting heads over things that might not even matter? Is school work taking longer than it should because you're worrying over how your child forms their letters, or the fact that they'd rather guess the words than sound out the letters on the page? You don't have to spend hours each day working on these skills. They will come in time. Spend a little time, then switch to something more fun. Come back to the basics later in the day, maybe using a different medium like paints, Play-Doh, or a stick in the dirt. When your child sees that they are not stuck for hours doing school work they don't enjoy, their attitude will change. When I hit the wall with my twins, after beginning to homeschool them in the first grade, I was in tears. I was so tired of fighting, trying to get them to do their school work and stay on track with the goals I had set. I trashed my planner and decided to just take things a day at a time, and to stop when frustrations were running high. With more flexibility came greater productivity. With more hugs and play based learning came fewer tears and greater joy. You might think that taking it easy and being flexible with our plans would have slowed us down, but in fact, after a little adjustment period the kids started to pick up steam on their own, and pretty soon they were way ahead of their public school peers. One thing I realized, even at the peak of my frustration, was that homeschooling was still the best solution for our family. Sending the kids back to school wasn't a good option. I knew that if I did that, I would still be struggling through helping them with hours of homework each week, and they'd be tired, hungry and emotionally spent after being in an overcrowded classroom all day long. I found support from local homeschoolers and online, and I made it over that wall. Now, with my youngest the same age as the twins were when we first started, I'm hardly frustrated at all, because I have learned how to homeschool with flexibility and patience, knowing that kids learn in their own time, in their own ways, and the most important thing is to love them, encourage them, and enjoy what time you have with them while they are young.